This study area is located in the eastern littoral of the Iberian Peninsula; its importance resides in its Mediterranean ecosystem, complex topography, extensive land use changes, and intensive forest fires history. The study is done at the landscape level, covering a wide area for an extended period of time. 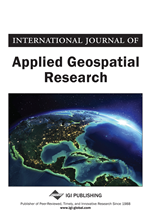 This work uses Geographic Information Systems (GIS) and Satellite Remote Sensing (SRS) techniques to evaluate the impact of spatio-temporal parameters on shaping Mediterranean landscapes. Interacting ecological parameters are analysed and correlated to post-fire vegetation regeneration in an attempt to understand its dynamics. The results provide evidence that the number of fires separated by short time intervals influence vegetation growth negatively measured as Enhanced Vegetation Index (EVI). During this period, micro-climatic effects (soil and environmental humidity) are major factors influencing EVI-measured vegetation regeneration. The conclusions expect shifts in Mediterranean plant communities in heavily burned ecosystems stressing the importance of their correct short and long term post-fire management. Repeated disturbances alter landscape structure and can lead to ecosystem deterioration when disturbance regime is outside the natural range (Johnston & Gutsell, 1994). In Mediterranean ecosystems, landscape patterns proved to affect ecological processes including spread of disturbances, particularly fire (Alloza & Vallejo, 2006). In north-western Mediterranean region, forests are currently facing an increasing risk of wildfires due to inappropriate management, policies violations and agriculture abandonment. It is widely admitted that vegetation has developed different mechanisms to recover its structure and composition rapidly after forest fires in Mediterranean ecosystems (Buhk et al., 2005). However, plants are not adapted to fire per se, but to fire regimes (Pausas & Keeley, 2009), and many current fire regimes in the Mediterranean Basin are outside the natural (historic) ranges. Fires, by concentrating in specific places, and by becoming more frequent in already burned areas could increase fire disturbance modifying the landscape. At least in Spain, increasing forest fire tendencies in terms of numbers and burned areas during last decades lead to a shift in the nature of burned areas where forests are replaced by non-wooded shrublands (Moreno et al., 1998). These facts are leading ecologists to establish a better understanding of ecosystem functioning at the regional scale and of changes in fire regime as key steps towards an enhanced characterization of post-fire ecosystem resilience ability in the Mediterranean landscape (Oliveira & Fernandes, 2009). Though they possess some limitations, Geographical Information Systems (GIS) and satellite remote sensing (SRS) techniques are a potential instrument for ecologists in their ecosystem analysis and monitoring (Chuvieco et al., 2006) especially over large geographical extents. Using these techniques, recent research suggests that fire occurrence in the Mediterranean has increased both in frequency and intensity leading to negative impact on plant communities’ resilience (Abdel Malak & Pausas, 2006). Furthermore, a number of limitations in the ecosystem recovering abilities are highlighted at the population and the landscape levels depending on fire frequency, intensity, severity and on topo-climatic conditions have also been highlighted (Moretti et al., 2010; Rodrigo et al., 2004). This study bases on these outcomes and takes research further by asking whether fire recurrence is the only driving force affecting vegetation, or whether other ecological parameters need to be taken into consideration when planning post-fire management interventions. It aims at understanding long term effects of intensive forest fires and topo-climatic characteristics on large western Mediterranean ecosystems characterised by their complex geography through multi-temporal and spatial analysis. We research whether different wildland fire intensities affect the landscape in an equal mode, and whether topo-climatic variables have a consequent effect. Our hypothesis is that, in an ecosystem subjected to recurrent fires, the Enhanced Vegetation Index (EVI) measured vegetation regeneration success would depend on time (time after fire and inter-fire interval) and on biophysical conditions (topography, land cover, soil, and precipitation). We build on these outcomes to test our hypothesis making use of EVI temporal variability in areas with different fire histories, and we relate EVI variability to emphasize vegetation dependability with topo-climatic variables. Through this analysis, we demonstrate that, at large scales, and using adequate assessment techniques, GIS and SRS are valid tools that can help resource managers and the scientific community in the Mediterranean region to plan, monitor and manage their ecosystems after fire disturbances.